Everything You Need To Know About THE DEVIL IN THE WHITE CITY | Birth.Movies.Death. After years of development, Martin Scorsese and Leonardo DiCaprio are reuniting to bring The Devil in the White City to the masses. Although previously set as a potential directing vehicle for Scorsese, with DiCaprio likely to star, the project has transformed into a limited series for Hulu. For those unfamiliar with Erik Larson's historical page-turner, the book tells the dueling stories of two ambitious men: Daniel H. Burnham, the architect of the 1893 World's Fair in Chicago, and H.H. 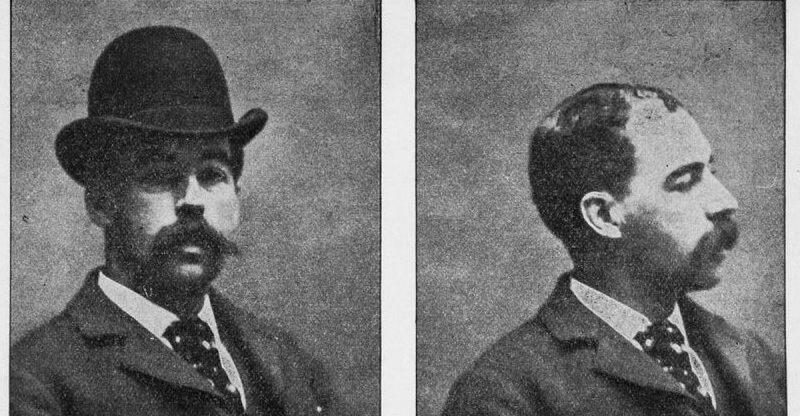 Holmes, who capitalized on the city's sudden growth to become one of America's first – and most prolific – serial killers. While you've undoubtedly read, or at least heard, of Holmes' deeds, you may be less familiar with this turning point in American history – and why Scorsese and DiCaprio are the perfect team to do it justice on the small screen. Holmes quickly set about renovating the store on credit, nimbly dodging his creditors and defrauding investors – an approach he perfected before purchasing the lot across the street for his dream project: a mixed-use retail and hotel space that would eventually earn the name "the murder castle." 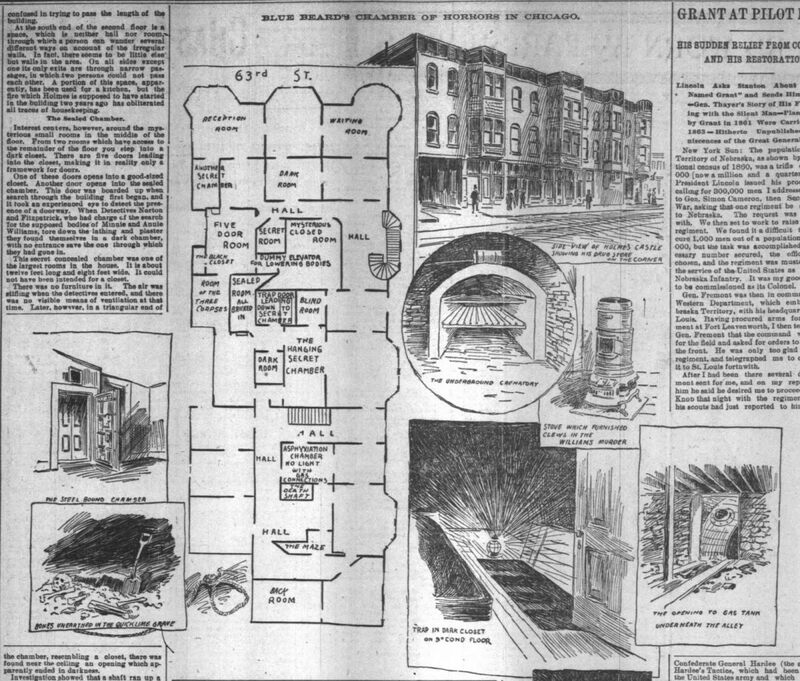 Holmes hired workers to construct the building, which contained various hidden chutes and chambers and a basement with an incinerator. The bottom floor of the building housed a new pharmacy, a restaurant, and a barber shop, while the second floor was intended as Holmes' personal home, and the third floor – as he promised investors – was meant to become a hotel, where visitors to the upcoming World's Columbian Exposition (aka the World's Fair) could rent rooms and stay. The bulk of his maniacal architecture was incorporated on the second floor, with rooms rigged to be easily gassed and chutes that were greased to make it easier for Holmes to move bodies down to the basement. Holmes' killings began in 1891, with the Christmas Eve disappearance of his mistress, Julia Smythe, and her daughter, Pearl. Their bodies were never recovered. In May of 1892, a young woman named Emeline Cigrande came to work for Holmes, who had sold the Holton pharmacy across the street to a new owner who was quite impressed with the renovations – unaware that the former owner had not paid for much of the improvements and furnishings until the creditors came calling for Holmes. Meanwhile, Holmes had opened a new pharmacy on the bottom level of his murder castle. It was there that Emeline vanished in December of 1892, followed by Edna Van Tassel. 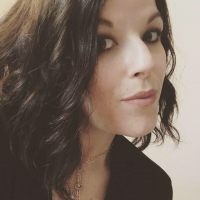 With the assistance of Benjamin Pitezel – a local carpenter with a checkered past – Holmes continued to defraud insurance companies with cadavers, eventually killing Pitezel himself. It's also been alleged that Holmes sold the skeletons of the women he killed to medical schools. At the time, articulated skeletons were in high demand for their use as teaching and study tools, and few questions were asked of their origins. After absconding to Canada with three of Pitezel's five children, Holmes attracted the attention of Philadelphia detective Frank Geyer, who followed the killer up to Toronto – where he found the decomposing bodies of two of Pitezel's daughters, whom Holmes had killed by stuffing into a trunk and suffocating with gas. The trail led Geyer to Indianapolis, where Holmes had stayed for a spell. There, he found the remains of Pitezel's son, Howard, whom Holmes had killed with poison. Geyer found bits of the boy's teeth and bones in the chimney. Holmes' spree ended in 1894, when detectives from the Pinkerton agency tracked him to Boston, where he was finally apprehended. Holmes was convicted of Benjamin Pitezel's murdera and sentenced to death in 1895, whereupon he confessed to murdering 27 people and attempting to murder six others. Some of those Holmes claimed to have murdered were later found to be alive. His confessions were filled with inconsistencies and falsehoods (he claimed to be possessed by the devil), and to this day it's unclear exactly how many people he murdered or why. Although it may seem like this would be the more boring narrative of the two in Larson's book, I can assure you that is absolutely not the case. 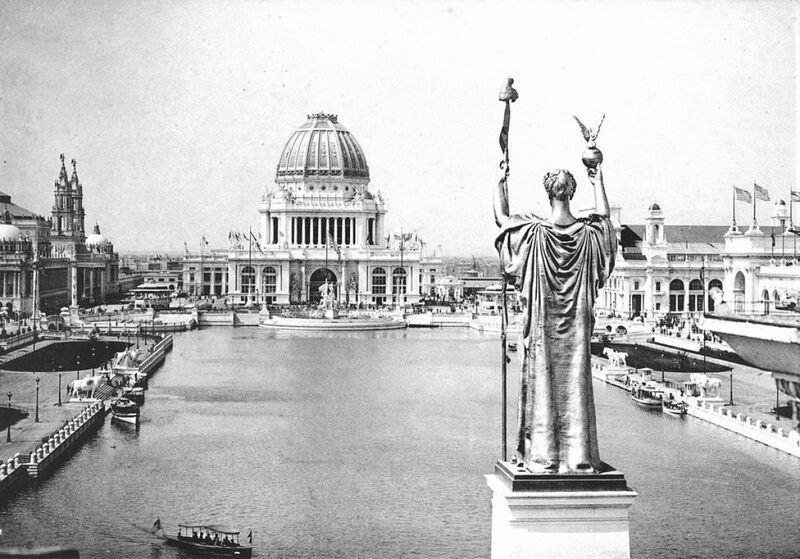 The creation of the 1893 World's Fair (or the World's Columbian Exposition, as it was then known) and the desperation of the men involved with bringing it to fruition is every bit as fascinating as the story of H.H. Holmes – the man who used the fair to find his victims. Largely told through the perspective of architect Daniel H. Burnham, these chapters take readers through the World's Fair from conception to execution, including the unveiling of the very first Ferris wheel (named for its creator). Alongside business partner John Wellborn Root, Burnham was repsonsible for one of America's first skyscrapers: the Masonic Temple Building in Chicago. Following a rather intense bidding process – during which numerous major cities appealed to Congress – Chicago won the rights to host the Columbian Exposition, so named in honor of the 400th year anniversary of Christopher Columbus' voyage. Burnham and Root accepted the responsibility of planning and designing the fair, which would enrich Chicago's industry and real estate and boost its visibility across the nation. Upon Root's death, Burnham was free to pursue his more ambitious designs and establish a name for himself independently. Working with a new team of designers and architects and inspired by the Paris Universal Exposition in 1889, Burnham set about creating a space that would host "villages" representing dozens of countries and cultures. Dubbed the "white city" for its pale stucco gleaming white facades, the fair included a midway featuring games and attractions, like the Ferris wheel and life-sized reproductions of Columbus' three ships. Louis Comfort Tiffany – as in the Tiffany – first came into renown at the World's Fair, where he debuted an exquisite chapel that now resides at the Charles Hosmer Morse Museum of American Art. Despite being denied a formal presence at the fair, Buffalo Bill Cody set up his Wild West show on the outskirts of the exposition. The fair, which was open from May to October of 1893, also introduced the public to such delectable pleasures as Juicy Fruit gum and Pabst Blue Ribbon beer. And lo, it was good. Leonardo DiCaprio snatched up the rights to The Devil in the White City back in 2010. At the time, the plan was for Paramount to co-produce the adaptation as a movie with Scorsese directing and DiCaprio starring. Eight years later, the project has landed at Hulu, where it will become a limited series. It seems unlikely that Scorsese will direct – I mean, can you imagine him directing a series for Hulu? (Then again, he did just direct a movie for Netflix.) DiCaprio had already begun to age out of the Holmes role when he bought the rights to Larson's book; were he to star in the project now, I have to imagine he'd be playing Burnham (or Root), or maybe Geyer – the man who finally brought Holmes to justice. Even if Scorsese and DiCaprio merely remain on board as executive producers, the series is clearly in the right hands. 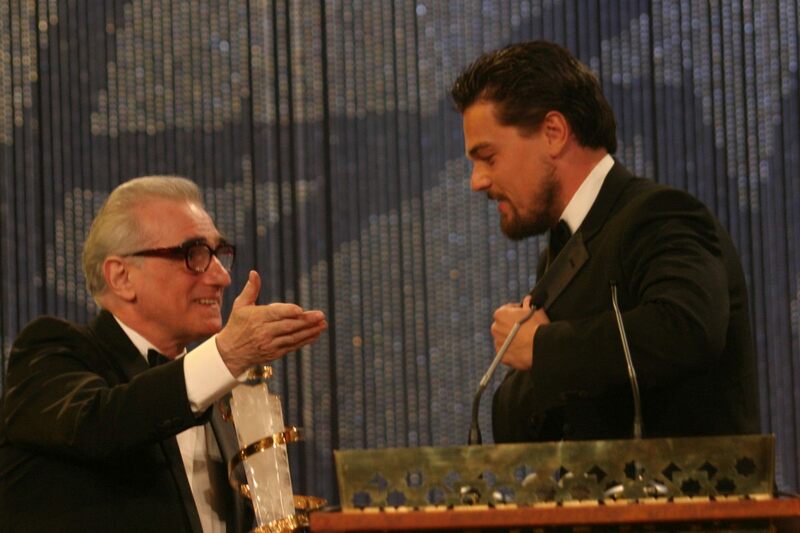 This is the pair that brought us The Departed, Shutter Island, and – more importantly – Gangs of New York and The Aviator. Those last two are most significant in how Scorsese approached the adaptation of stories rooted in historical fact. If anyone can take the dual narratives of the World's Fair and H.H. Holmes and transform it into a riveting character study of man's ambition in the late 19th century, it's these two. Take The Aviator, which gave us a gorgeously-shot portrait of Howard Hughes (another H.H. ), the chronically eccentric businessman, entrepreneur, pilot, and filmmaker whose obsessive compulsive disorder proved to be his greatest asset – and his undoing. Or Gangs of New York, Scorsese's period epic that depicts the long-simmering Catholic-Protestant feud that erupted into brutal violence in the 19th century slums of New York. As with The Devil in the White City, that film was also based on a non-fiction historical book, which Scorsese brought to compelling cinematic life. Honestly, it's surprising that it's taken this long for Scorsese and DiCaprio to get The Devil in the White City off the ground, given our increasing cultural preoccupation with true crime. That obsession is at an all-time high: Podcasts, docuseries, documentaries, anthology dramas, et al. have saturated the mainstream, from network television to prestige drama and streaming platforms – everywhere you look, no matter what your morbid interest, there is a true crime title for everyone. 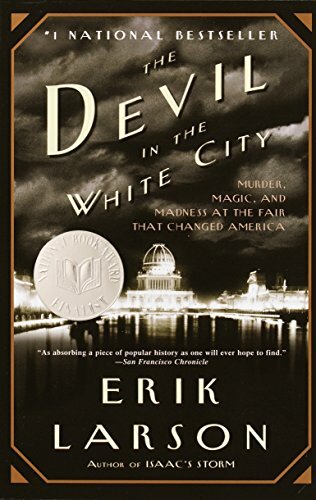 The Devil in the White City is one of the very best true crime books, and with any luck, it will soon become one of the very best true crime series. If nothing else, Scorsese is making a thing for Hulu, and that's novel as hell.